... which is aided and abetted by the shameful silence of a cowed international community whose reprobate political leaders and representatives have sold out to highly organized and well-financed pro-Zionist lobbying groups such as the American Israel Public Affairs Committee (AIPAC) which in the United States controls the White House and the Congress. AIPAC’s tight stranglehold on the U.S. government ensures not only that the concept of "government of the people, by the people, for the people" has perished, but also that Israel's criminality will continue to escape serious United Nations censure because of U.S. vetoes. A further erosion of democracy is facilitated by the corporate mass media which rather than being the rallying “voice of the people” is instead compliant to the interests of the Anglo-Zionist Political Corporate Military Industrial Empire: An Empire which is voraciously dependent on continual military conflicts that serve as a distraction from the iniquities of a world where some twelve million children under the age of five die annually and almost half of the world’s wealth belongs to just one percent of the population — January 2014 Oxfam report Working for the Few: Political capture and economic inequality — whose money buys influence over the governance of the brainwashed majority. This raises the question as to whether there are enough Americans with sufficient intelligence and determination to take back their country? 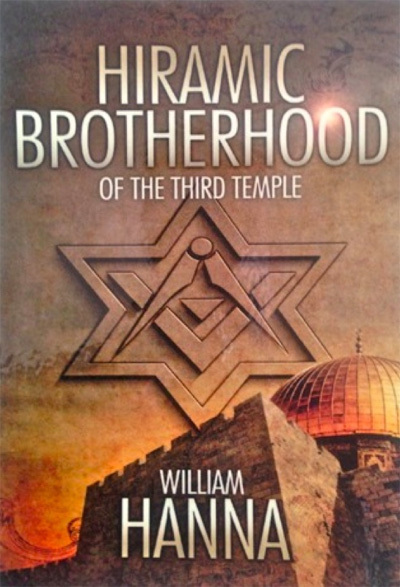 It is against this background that an Israeli archaeologist, an Israeli investigative journalist, and a British foreign correspondent resolve to expose both secret Israeli plans for tunnel excavations towards and under Temple Mount — known as the al-Haram a-Sharif and site of the Islamic Dome of the Rock and the Al-Aqsa Mosque — and the existence of a secret Brotherhood within the ranks of Freemasonry working towards the provocative and dangerous Judaic objective of building the “Third Temple” on that same Islamic site. eBook: Amazon.com, Amazon.co.uk, Smashwords, Apple iBook Store, Barnes & Noble, Kobo, WH Smith.